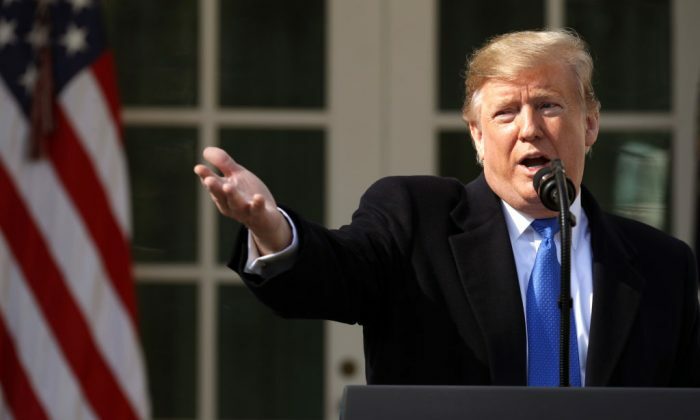 President Donald Trump and Donald Trump Jr. were among those reacting to the revelation that, according to law enforcement officials, actor Jussie Smollett faked a hate crime attack and blamed it on supporters of the president. 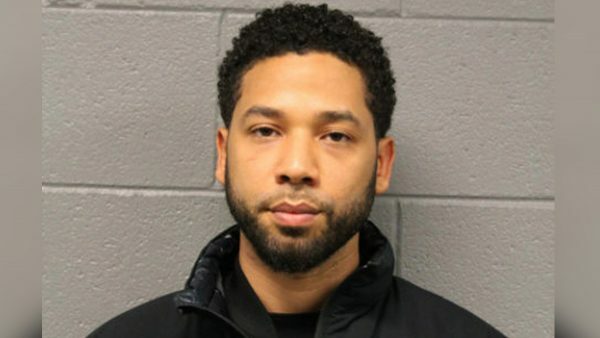 But in mid-February police arrested two black men who then informed detectives that Smollett paid them thousands of dollars to fake the attack, even going so far as to rehearse it several days beforehand. “You can really hear the frustration and emotion in Superintendent Johnson’s voice,” Trump Jr. wrote. During the press conference, Superintendent Eddie Johnson said that investigators found Smollett’s motive to be frustration about his pay on the television show “Empire.” “This stunt was orchestrated by Smollett because he was dissatisfied with his salary,” he told reporters. Previously, Trump Jr. shared an article about the story of Smollett allegedly being attacked taking up police resources and drawing the attention of politicians while the murder of a 1-year-old boy in Chicago went practically unnoticed. A pretty serious consequence of all the wasted time on the Smollett hate hoax. Smollett has been attacking the president and his supporters for years. “And if you support them … so are you,” he wrote. “Clowns.” He shared a video that showed far-left lawmaker Rep. Alexandria Ocasio-Cortez (D-N.Y.) speaking. In an interview that aired the day before the men who police say helped Smollett stage the attack were arrested, Smollett claimed that he was targeted because he frequently criticized Trump. On the opposite side, many lawmakers deleted tweets they had issued as initial reactions to the claimed attack, including Sen. Kamala Harris (D-Calif.), who had called it a “modern-day lynching.” Democratic leader Rep Nancy Pelosi (D-Calif.) and Rep. Adam Schiff (D-Calif.) were among other lawmakers who quietly removed tweets of indignation from their pages without explanation. Harris and other Democratic presidential contenders have withheld comment since police announced Smollett was officially a suspect in the investigation for filing a false police report.